George Skegas - Haig Barrett, Inc.
During George Skegas’s career, he has completed over forty transactions involving more than $2.5 billion of managed capital across a wide spectrum of debt and equity securities. These encompassed leveraged buyouts, corporate acquisitions, recapitalizations, and acquisitions of businesses in need of restructuring. He was recruited by Kroll Zolfo Cooper, LLC in 2003 to lead and develop their Structured Equity initiative. Prior to joining KZC, George was a founding managing member of Catalyst Equity Partners, LLC and a managing principal of Heller Investments, Inc., two private turnaround equity investment funds. George had personal responsibility for twelve equity investments in troubled businesses where he drove the strategic planning process, guided the development of turnaround business plans and ensured successful and timely implementation of plans. This investment activity generated returns in excess of 230% and 1.9 times invested capital. 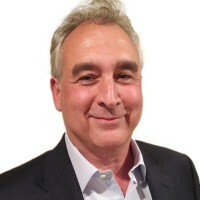 Prior to joining Heller Investments, he was a Senior Vice President and Origination Manager for Heller Financial, Inc’s Leveraged Finance Group where he developed and managed a staff of highly motivated senior professionals responsible for originating, underwriting and closing highly leveraged senior and subordinated debt transactions in the Western United States with offices in Los Angeles, San Francisco and Dallas. He began his business career at Bankers Trust Company in its Structured Finance Group where he had major responsibility for a number of large leveraged buyouts. Prior to that, George served in the United States Army, where he attained the rank of Captain. In his last command assignment, he was a Infantry Platoon Leader and Liaison Officer charged with armed security of a NATO nuclear missile site outside Istanbul, Turkey. George holds a B.A. in Economics from John Hopkins University and a M.B.A. from the Anderson School of Management at the University of California, Los Angeles.